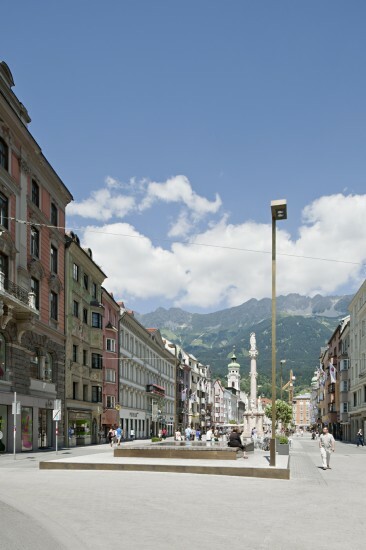 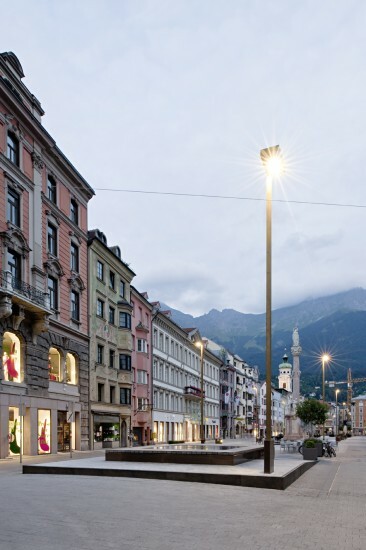 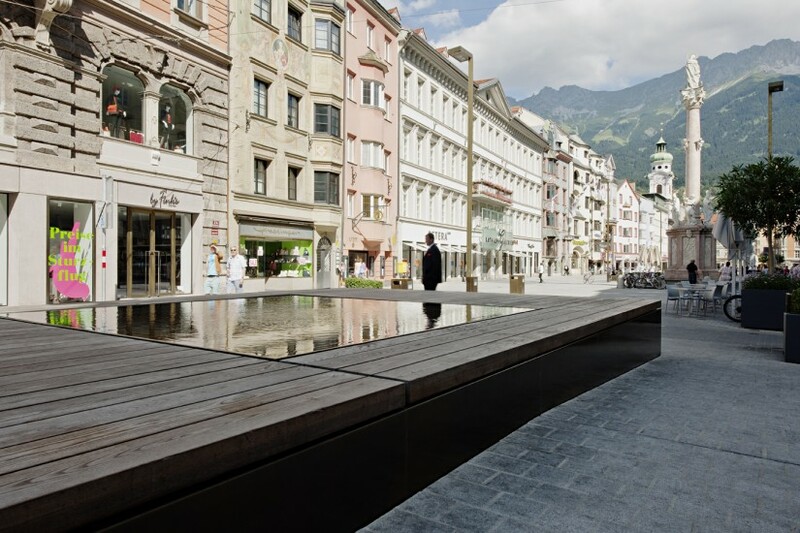 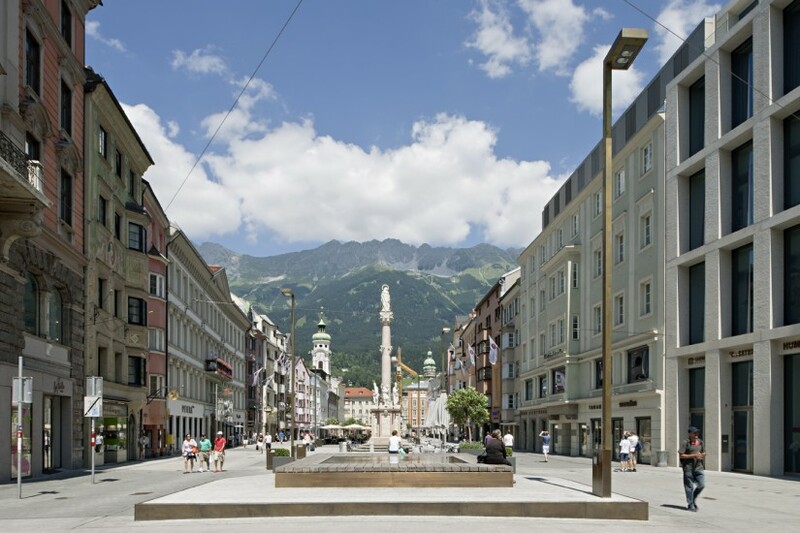 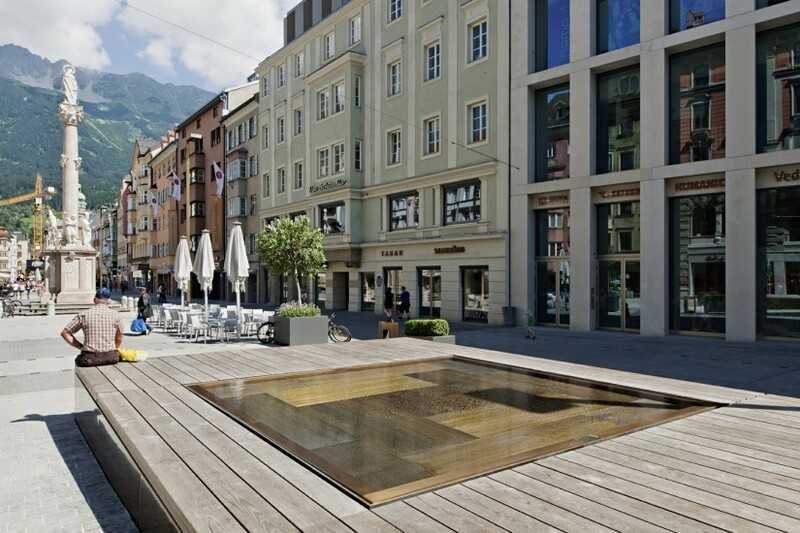 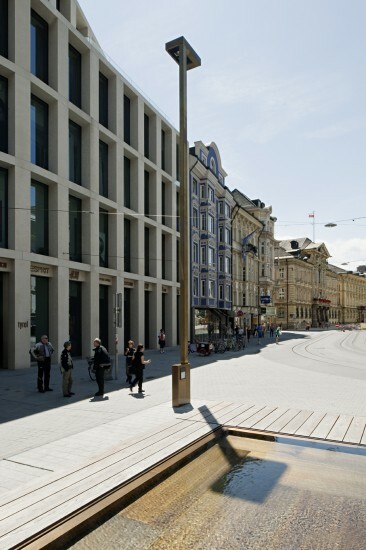 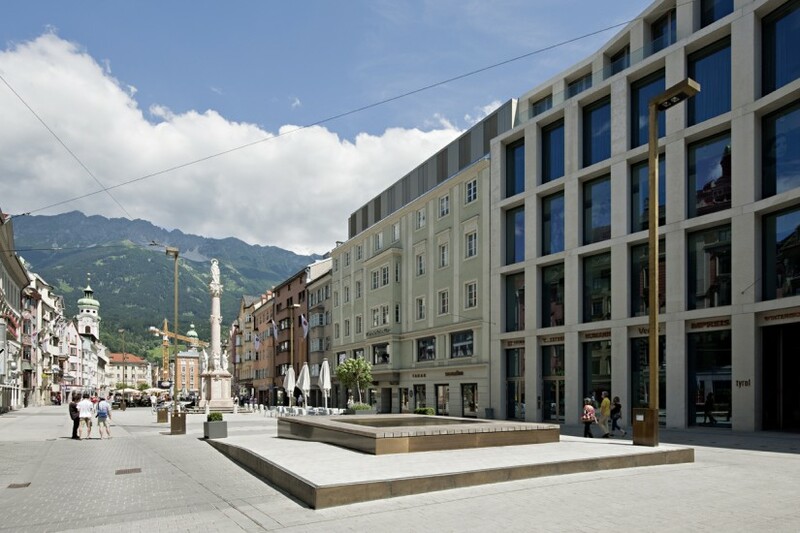 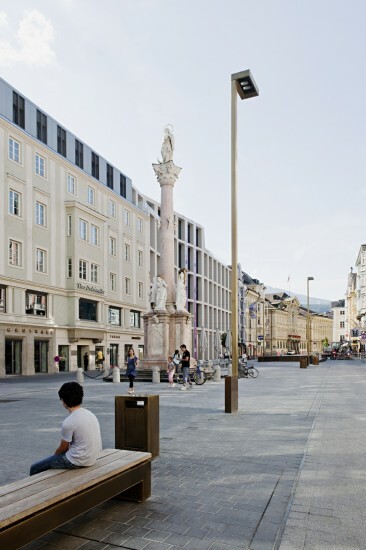 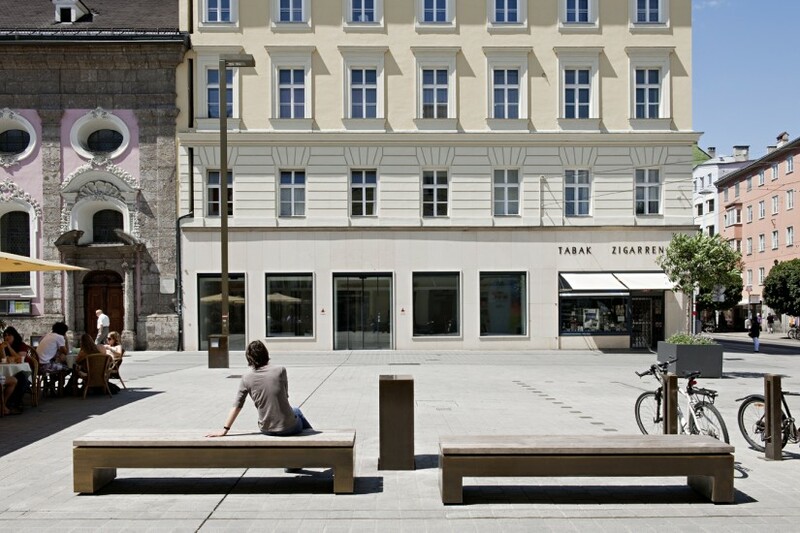 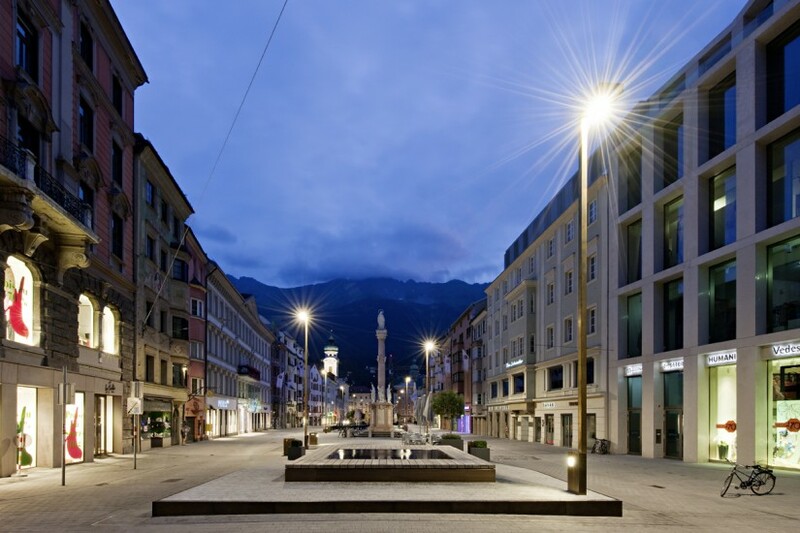 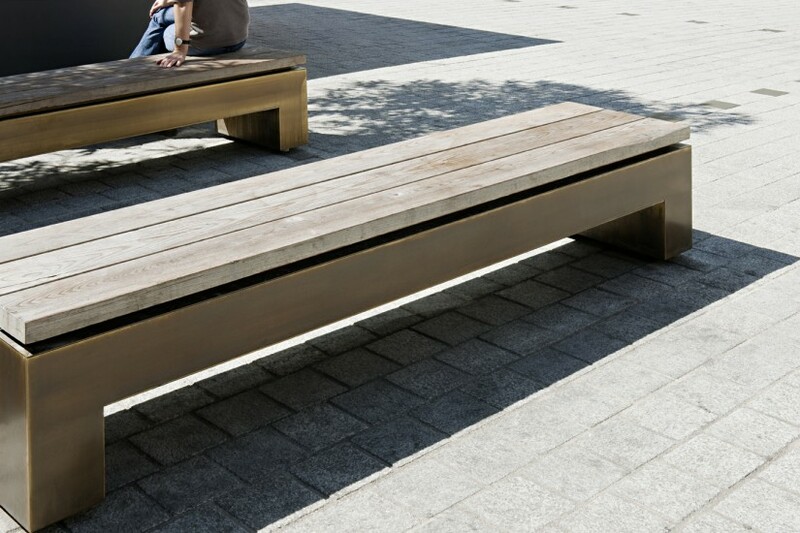 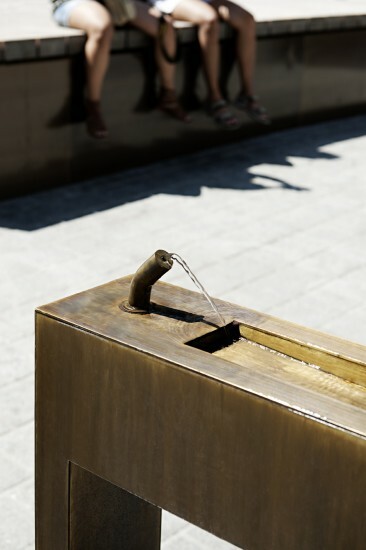 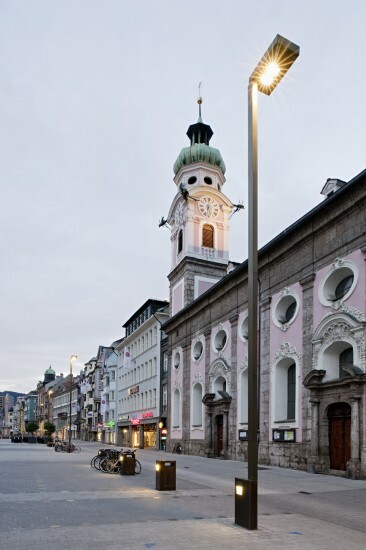 A redesigning of Maria-Theresien-Straße that does justice to the significance that the street has in the townscape of Innsbruck: the goal was to create an urban site with a rich atmosphere that invites strolling, hanging out, and meeting people. 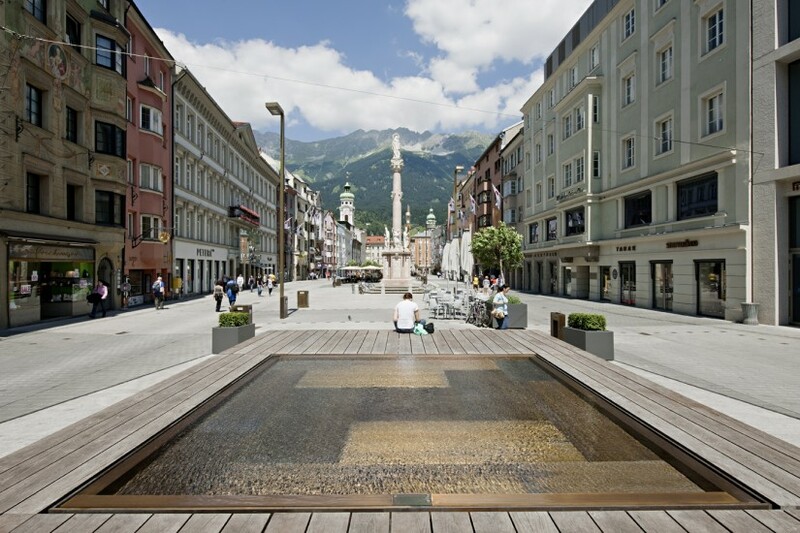 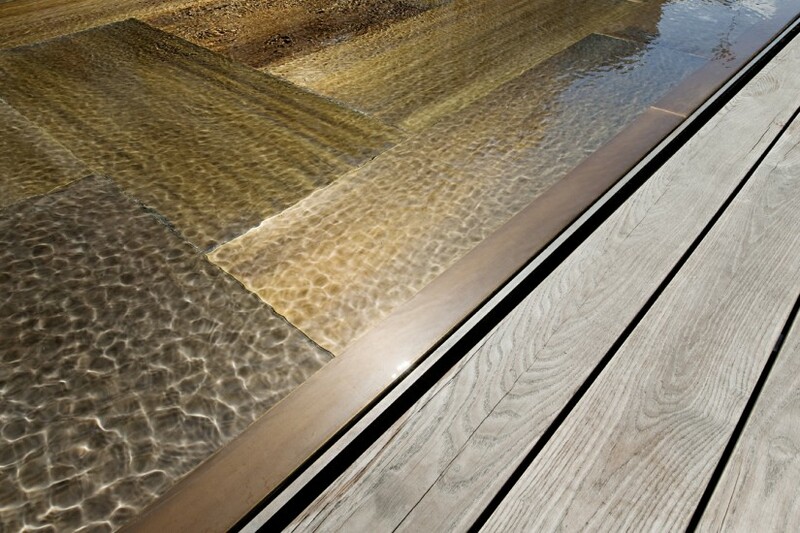 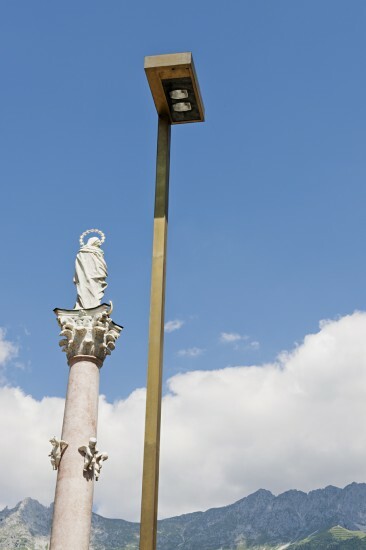 The identity of the site derives from the tension between urbanity and a panoramic view into nature, between past and future, between a specific character and a connective function in the urban structure of Innsbruck. 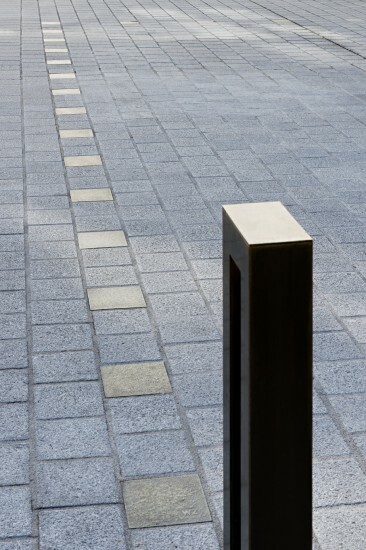 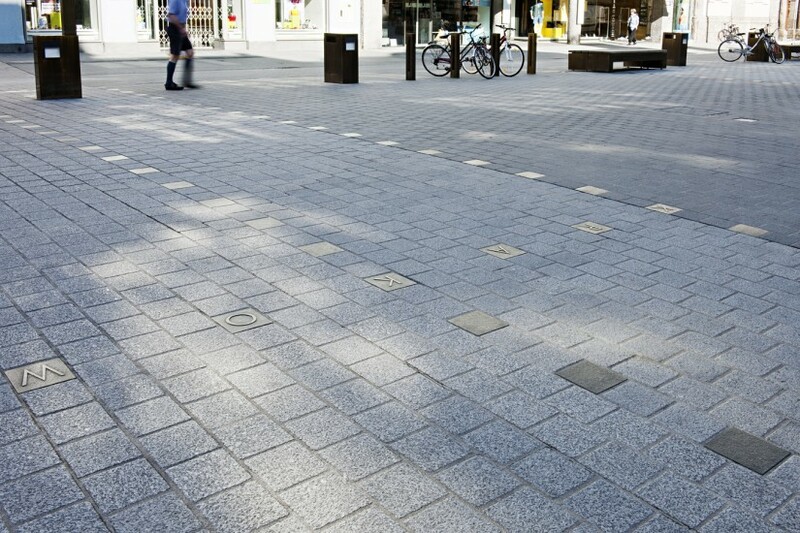 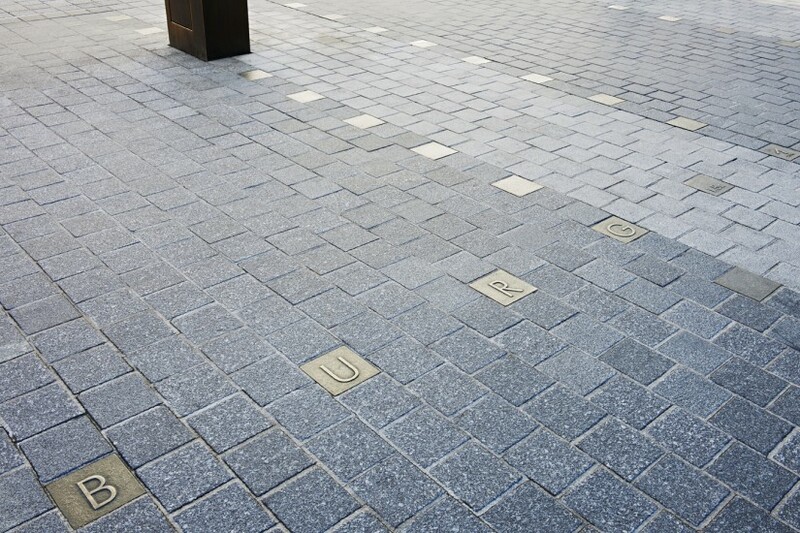 Two defining materials, granite and brass, balance these dualities in the redesigning: a slab carpet of four different types of granite creates a coherent square surface, and a network of brass-colored ground plates with street furniture growing up from it defines the square area proper in the middle of the street. 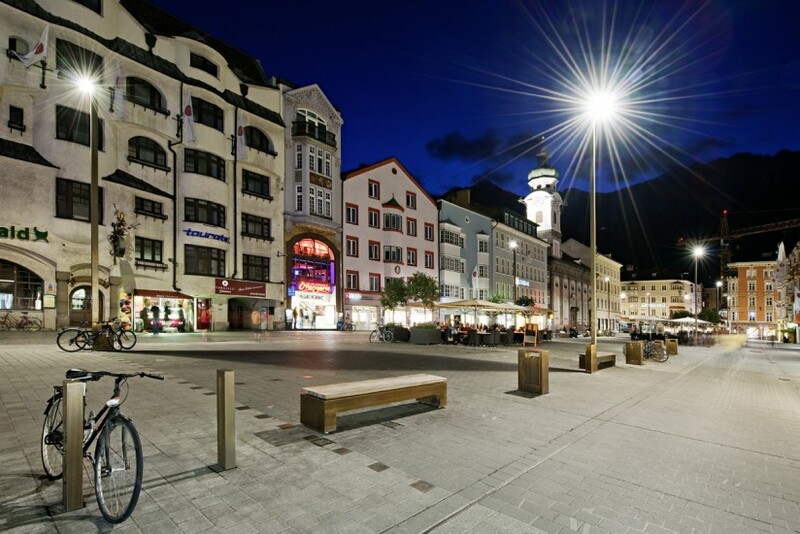 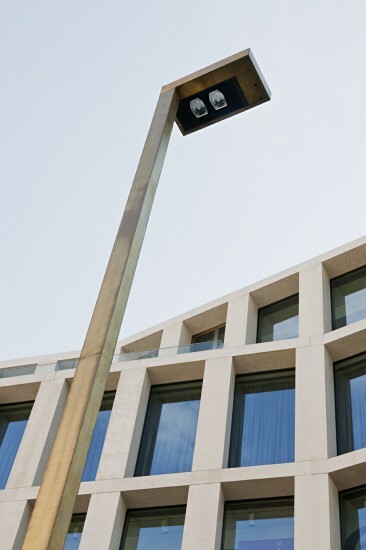 At night, the walking zones alongside the house façades are brightly lit, while low-set lighting in the middle of the square enables a view of the mountain silhouette and the stars above.